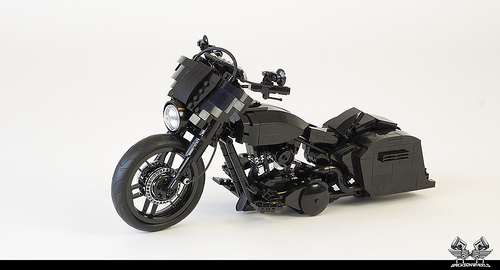 This stunning build just begs for the open road. 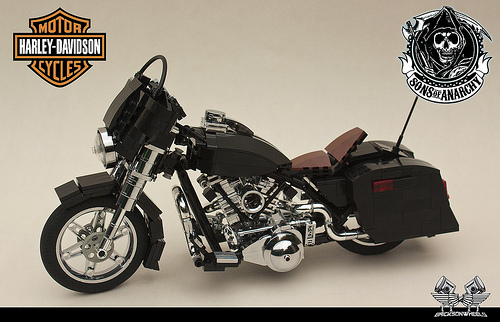 bricksonwheels posted a Harley Davidson Cali Style Lowrider and the chrome on this can be seen from space, I swear. 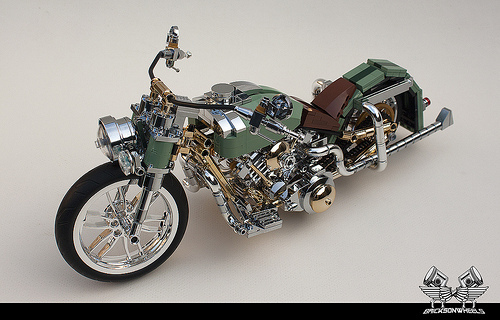 Like any proper Harley, the engine, wheels, and necessary bits are all sparkly, shiny, and oh-so-very-pretty. 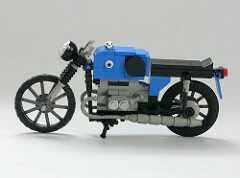 Dennis Glaasker (Bricksonwheels) is no stranger to this blog and his latest build surely doesn’t disappoint. 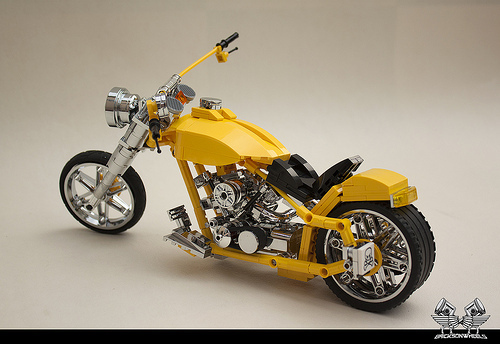 The bright yellow and heaps of chrome make this bike a real load of eye-candy. 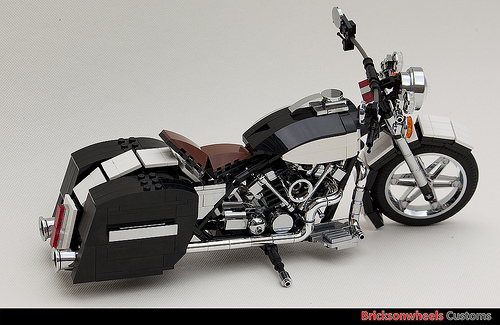 This shiny new monster by Bricksonwheels is a thing of beauty. 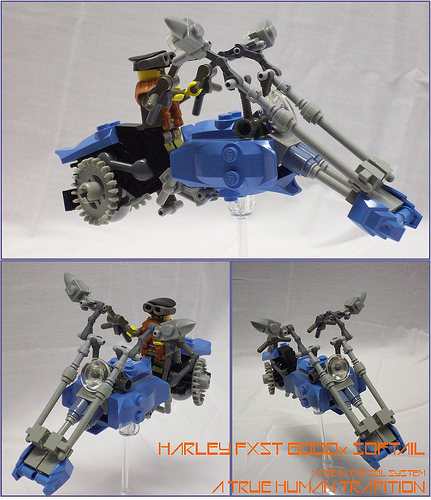 Based on the color scheme and insignia of the iconic plane belonging the orginal Red Baron, Manfred Von Richthofen, this bike really pops. 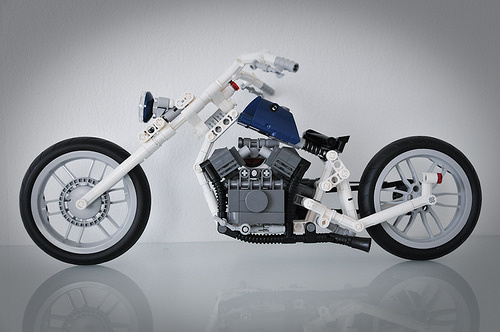 The level of detail and the scale make this one of those models that doesn’t look like LEGO until you look closer. 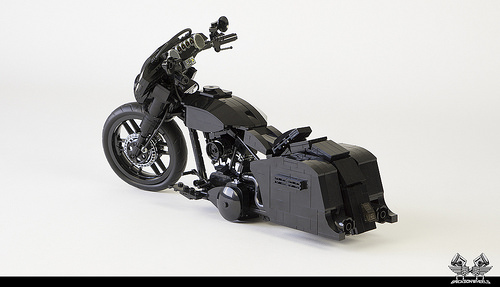 We expect beautiful models from this builder but this particular build is something special. 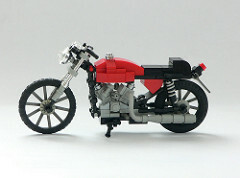 Bricksonwheels has taken a break from building massive big-rigs for a return to massively awesome motorcycles. Here’s his very shiny Hog. See more on Flickr or MOCPages. 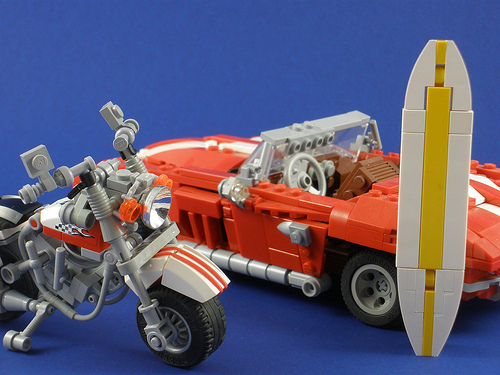 This simple composition featuring some not-so-simple creations by Jack Marquez (Ewok in Disguise) captures the feel of a Beach Boys song: Corvette convertible, custom Harley-Davidson and a surfboard. 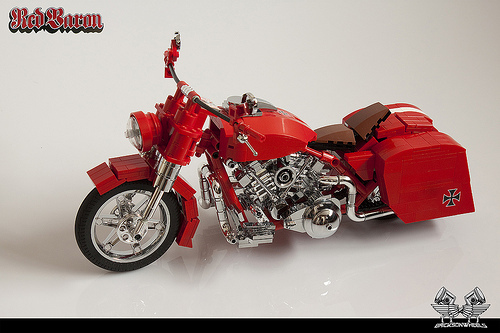 Check out all the pedals and valves on that Harley and the red rubber bands for racing stripes. 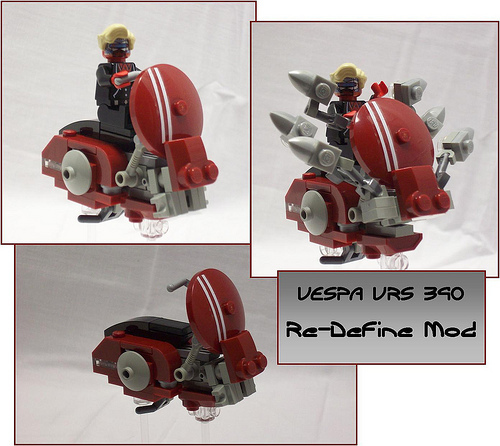 The deadline for the LEGO Speeder Bikes contest just passed, and there are more than a hundred entries for the judges to peruse. 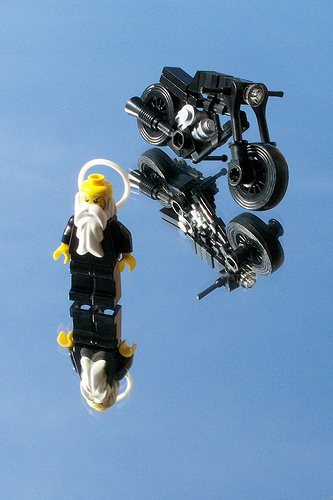 A couple of my favorites from late in the contest are from mr. eugene. Eugene says that these are his first LEGO creations after emerging from a decade long LEGO hiatus. Welcome to the fold, Eugene!